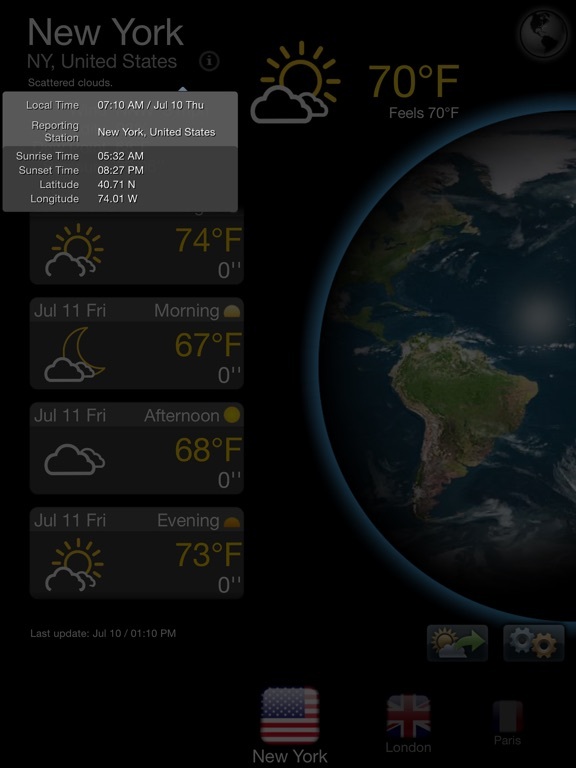 Prepare for your day with 48-hour and 14-day weather forecast. Whether it is cloudy, raining, snowing or even stormy outside, Real Weather will provide you with current weather conditions and forecast in your city and multiple locations all around the world. You won't even have to look out of the window as Real Weather will make you feel like you are already outside. 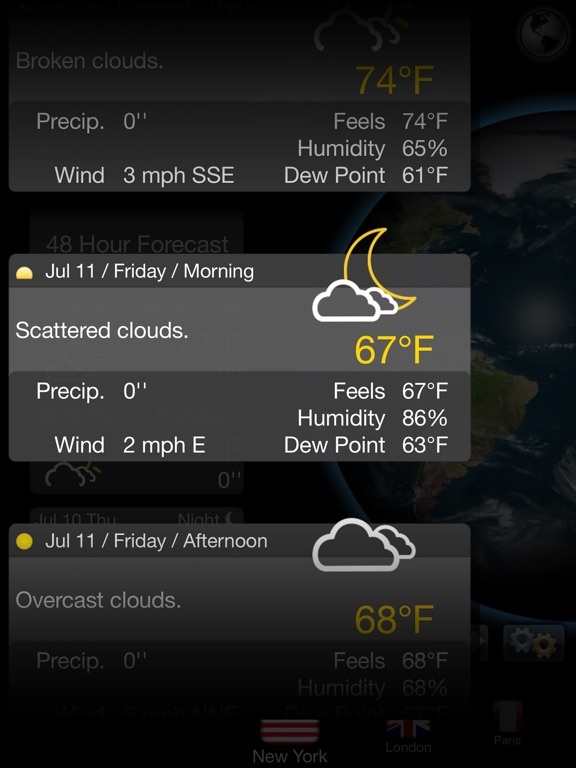 • Trusted forecasts that help you plan your day, week, or even the next hour. 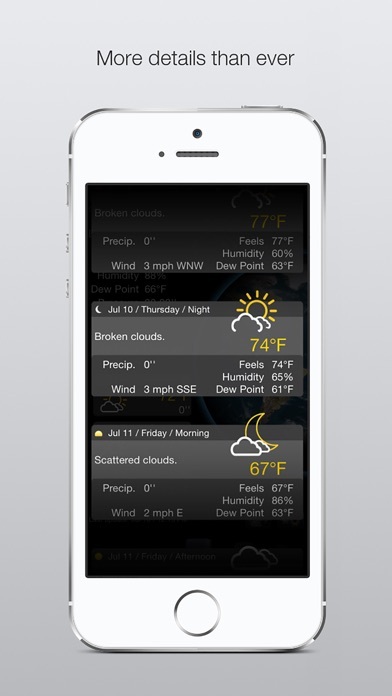 • Your Daily Snapshot shown when you open the app – a summary of what you can expect from the day's weather. • Descriptive weather icons illustrating the weather forecast for this moment, the next 48 hours, and each of the next 14 days. • Information about Feels Like/Wind Chill temperature, Wind direction and speed, Precipitation information, Humidity, Dew point, Pressure, and more. • 48-Hour Forecast. 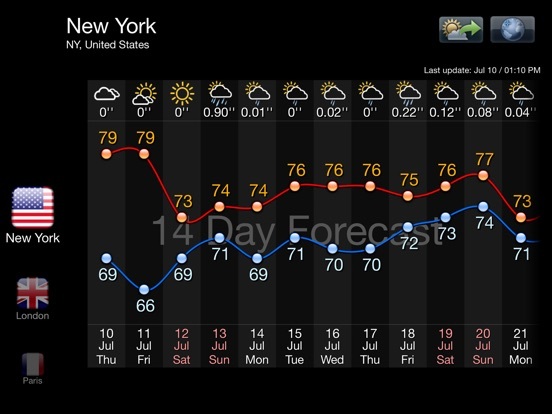 See detailed forecast for today and tomorrow. 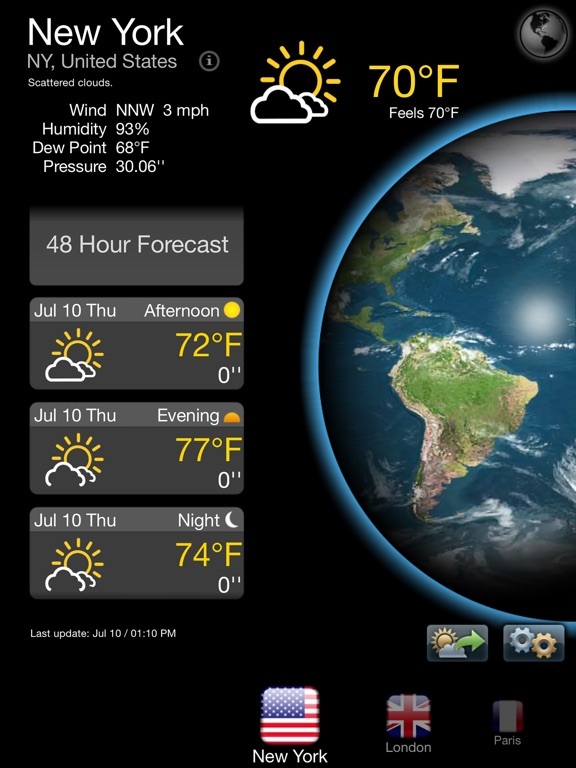 • Multiple languages support – Get weather forecasts in English, German, French, Russian, Italian, Portuguese, Spanish, Chinese, Japanese and Korean. • Beautifully designed and easy to use. • Track all your favourite cities and destinations. 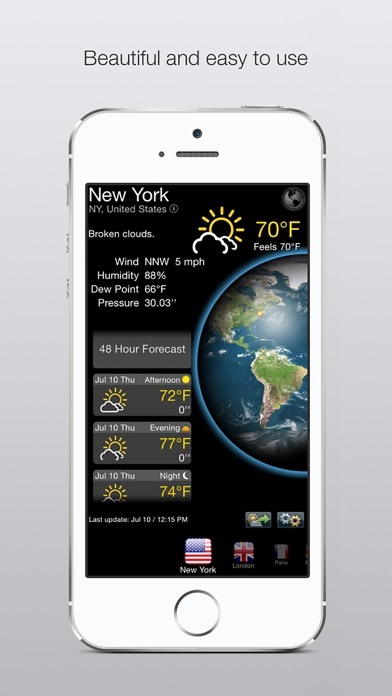 • Temperature on the icon enables you to see the current temperature as a badge on the application icon. 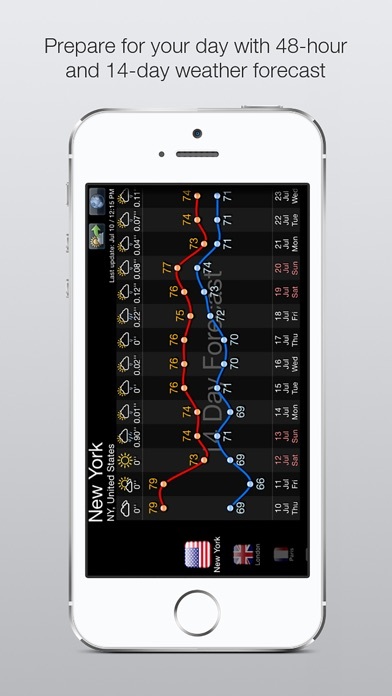 • Unlock All Features removes ads and lets you add more than one city and see 14 days forecast and trends.